It's no joke - kids grow up way too fast! If you're a parent, I'm sure you'll agree with me! 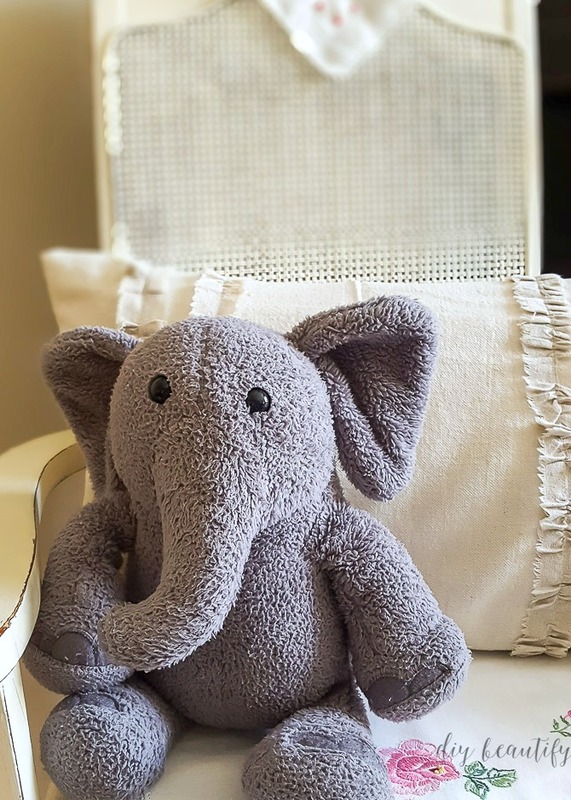 Little DIY ( my sweet daughter) is turning 12 in just a few days and I really want to stop the clock! While she's mostly a tomboy, her tastes are starting to change and she loves what we've termed 'shabby modern'. So we decided to celebrate her birthday with that style in mind. 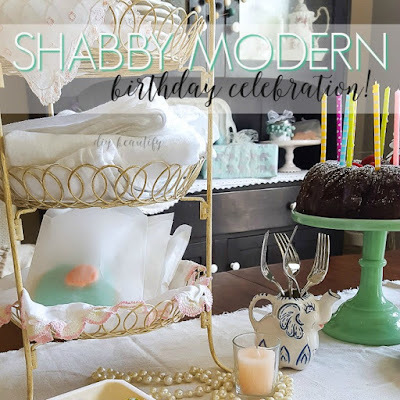 Read on to see how we styled a shabby modern birthday party with Minted. 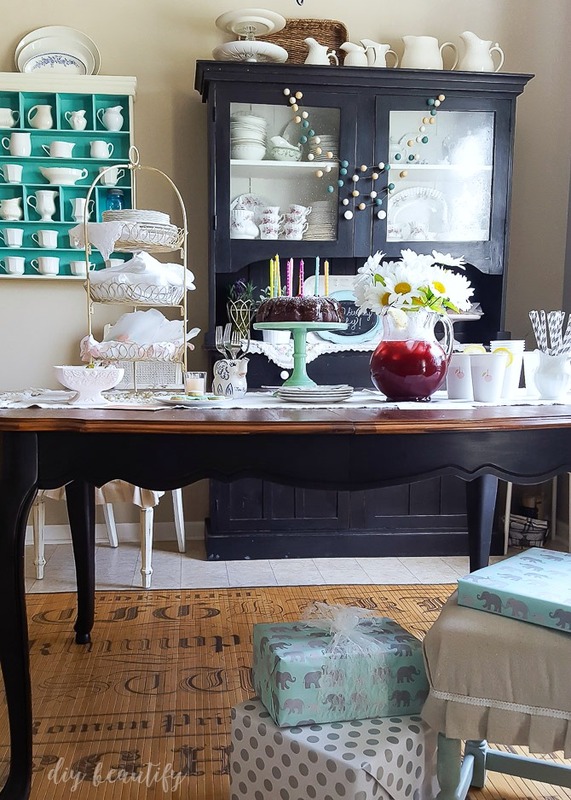 You'll have a chance a little further down to win a $150 Minted gift card! 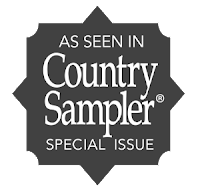 Affiliate links are provided below for your convenience. You can find my full disclosure policy here. 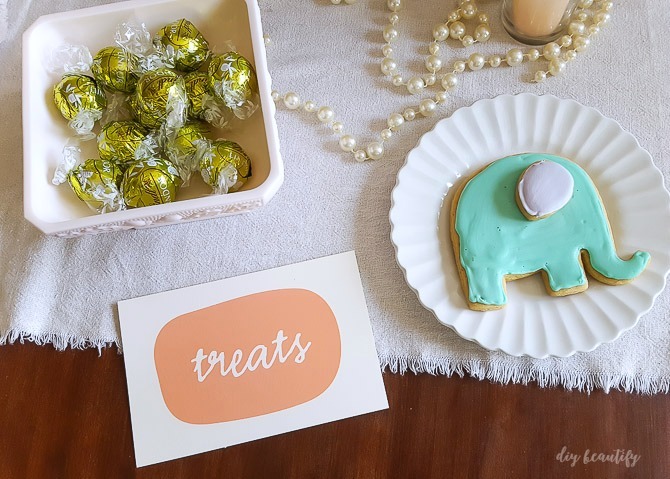 Little DIY is going through an 'elephant phase' right now, so we incorporated that into this birthday theme and it turned out so cute. 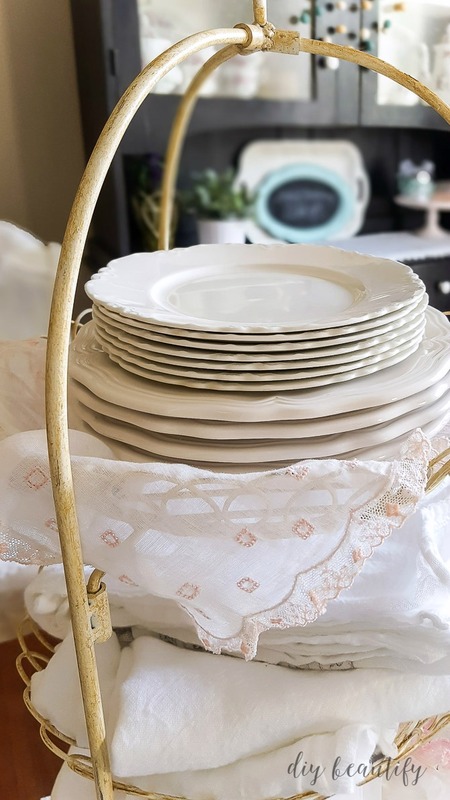 The delicate patterns work beautifully with my collected ironstone lunch plates! 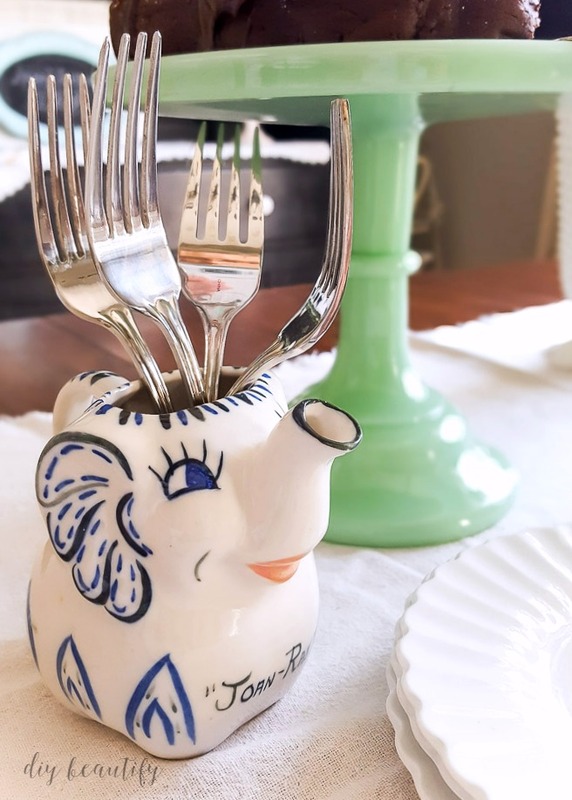 Grandma's elephant creamer (from when she was a little girl) got a place on the table. 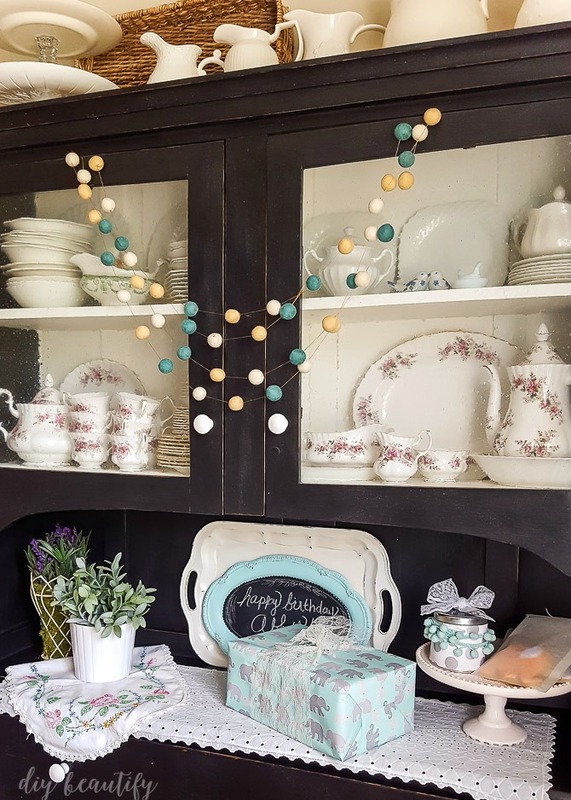 These vintage goodies are the perfect pairing with this gorgeous jadeite cake plate! 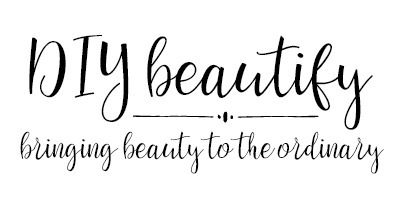 It's from Minted and is part of their Home Decor collection. 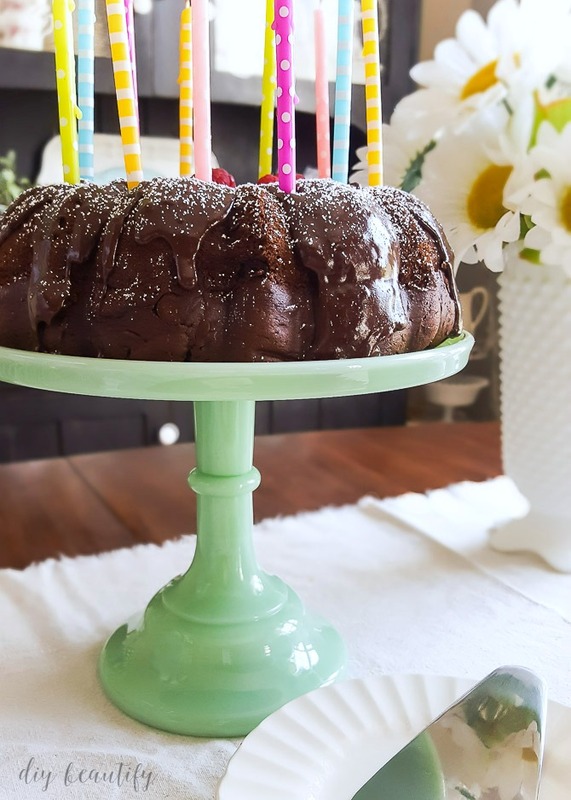 It looks like a real vintage piece, and I love how it shows off my triple chocolate bundt cake! I was delighted to find other decorating goodies at Minted that work beautifully for this shabby modern birthday party...don't be fooled...they're more than just a online stationery site! 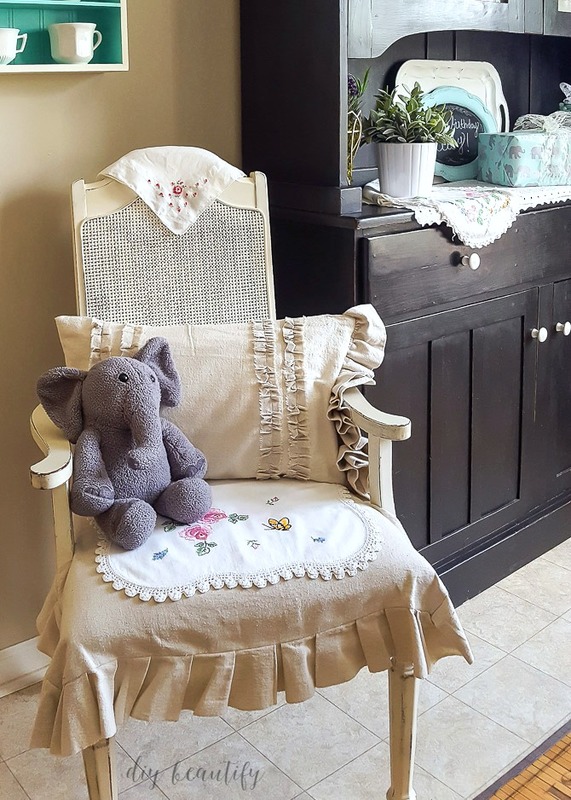 It's so fun draped over the doors of my antique black hutch! We found these table signs that say 'sips' and 'treats'...so cute, reusable...and they're available in lots of patterns and styles! 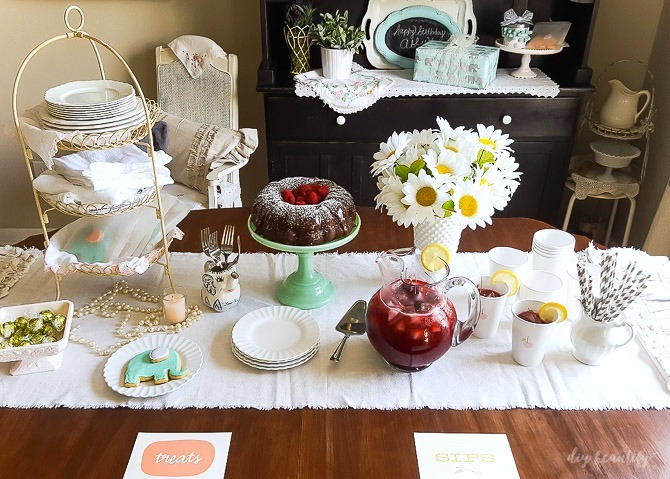 Those gray striped straws are from Minted's party collection too! We chose the coordinating cherry stickers that we added to simple white paper cups. 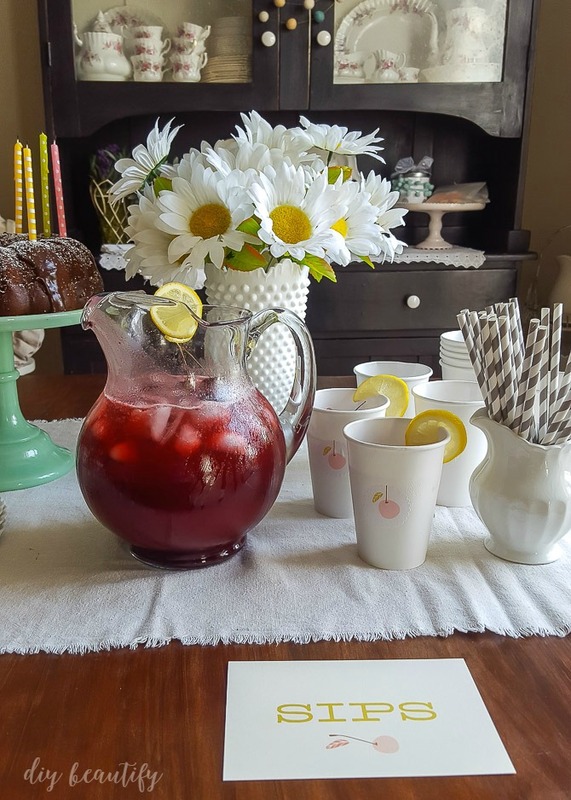 And of course I had to make cherry lemonade, a delicious and refreshing summer drink! 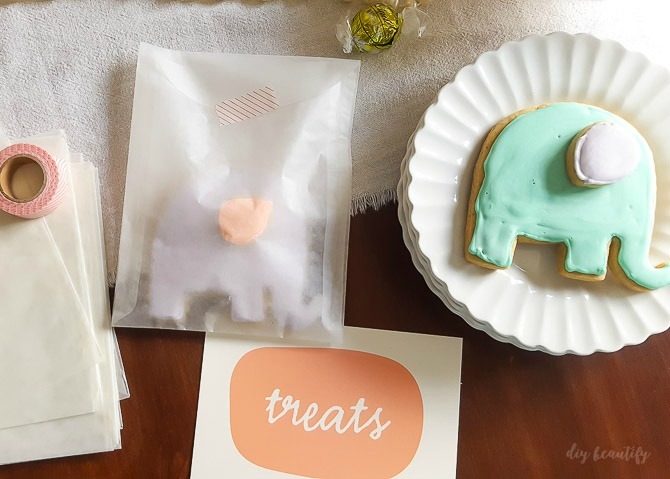 These glassine envelopes and striped washi tape make the perfect take-home package for our homemade elephant cookies, iced in colors to match! I used my favorite sugar cookie recipe. And some sweet chocolates in a pink milk glass bowl are ready for nibblers. 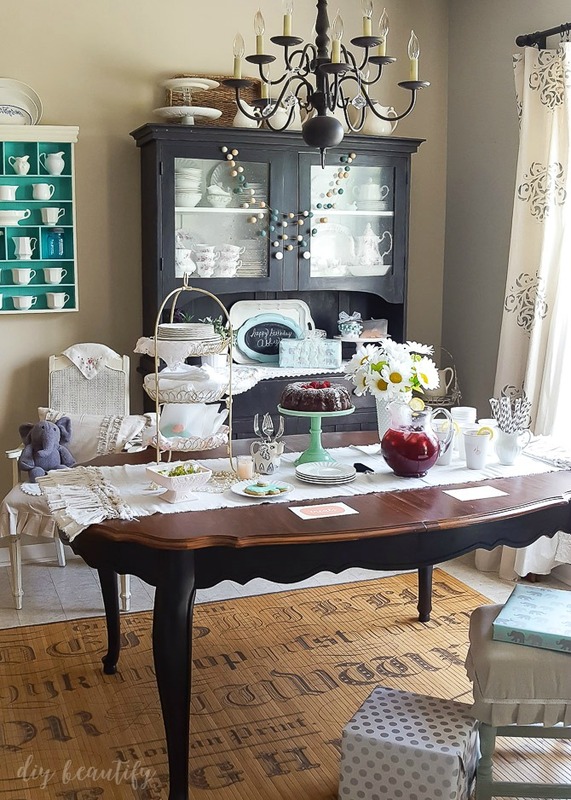 We turned the whole dining space into a shabby modern wonderland! 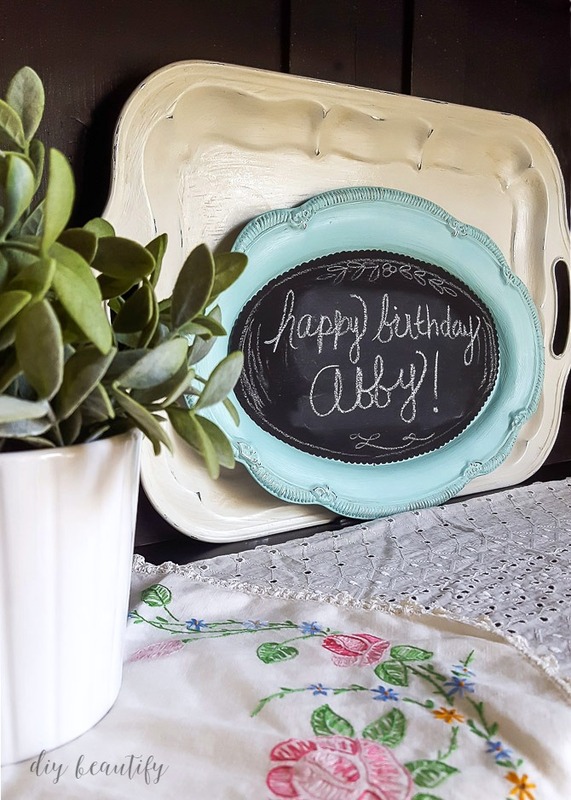 My ruffled drop cloth tablecloth fit right in, and my DIY chalk painted trays were an ideal choice for this color scheme. Little DIY's elephant Choi (don't even ask!) joined the party as the special guest! and the gifts coordinated too! 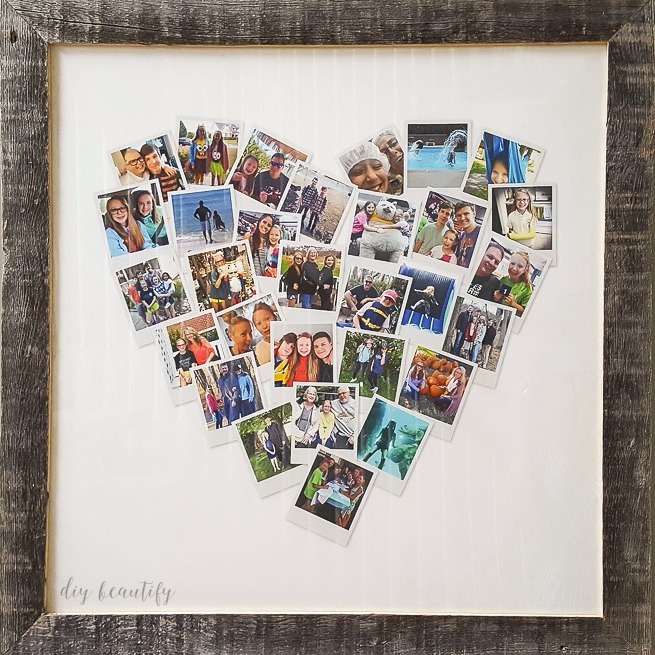 This heart-shaped snapshot picture filled with pictures of Little DIY and her family and friends was a special birthday gift! 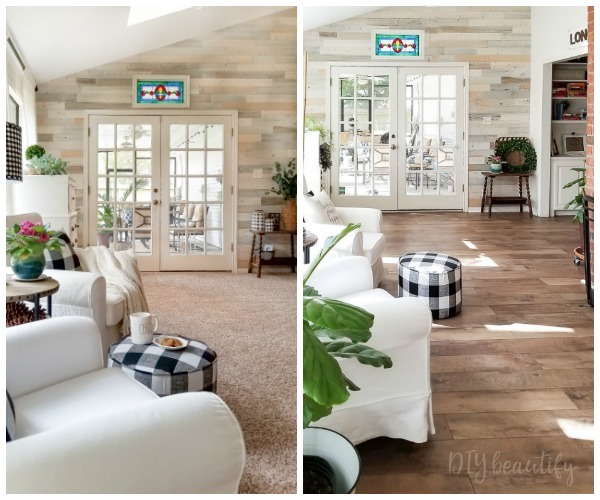 It was so easy to customize and I'm in love with the barn wood frame! 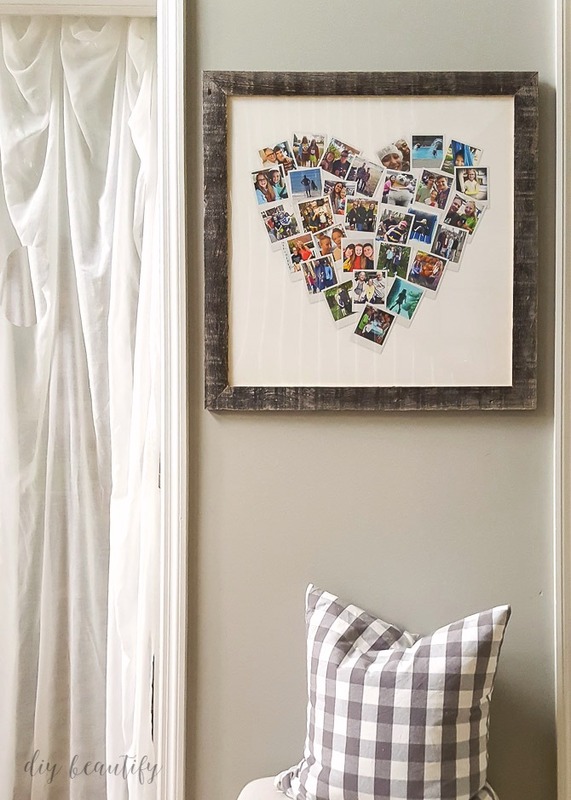 I found lots of additional photo art gift ideas at Minted that I'll be keeping in mind for other celebrations. 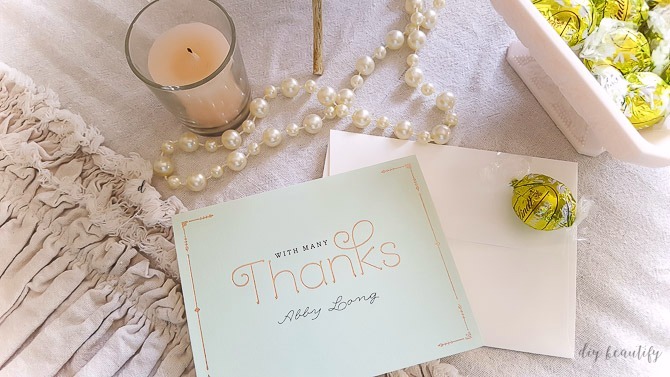 And Little DIY will be able to say thank you in style with these gorgeous custom thank you cards. So I'll bet you're dying to check out what else Minted has to offer, am I right? 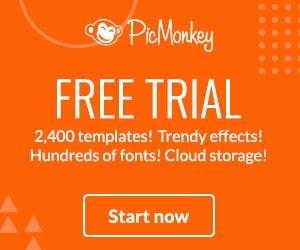 Their site is a virtual treasure trove of ideas! 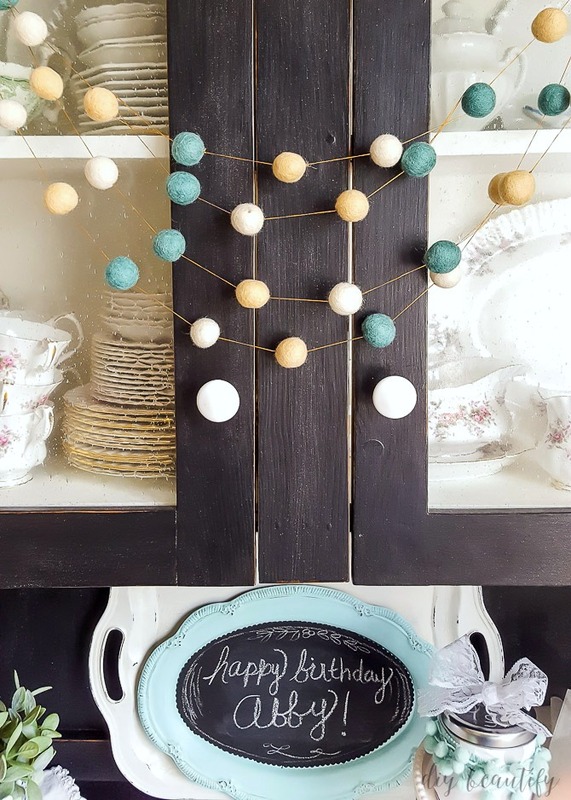 While they offer themed party decor, we chose to mix and match pieces that suited our shabby modern birthday theme! Little DIY loved this girly theme for her birthday party, but she's decided she'd rather have black converse than a frilly dress any day! 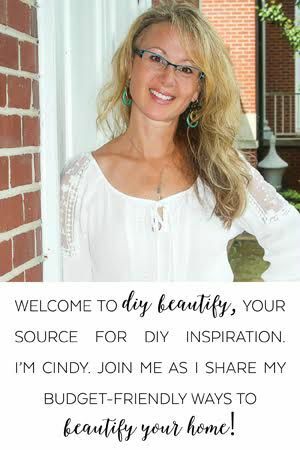 I am delighted to partner with Minted to offer one lucky reader a $150 gift card to spend on items of your choice at Minted.com! 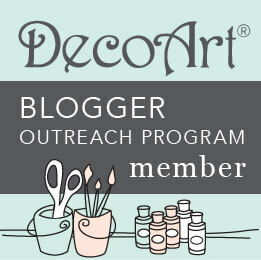 Disclosure: this post sponsored by Minted; opinions are my own! 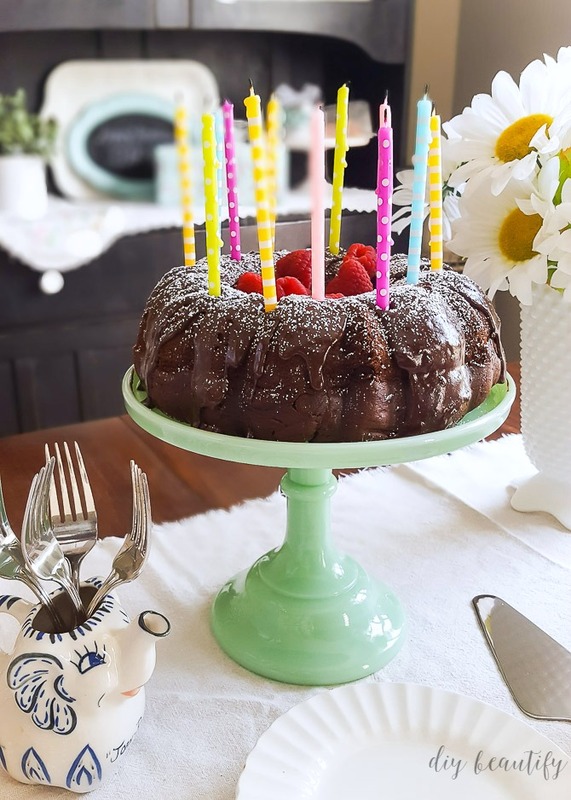 Cindy, Happy Birthday to your sweet Abby!